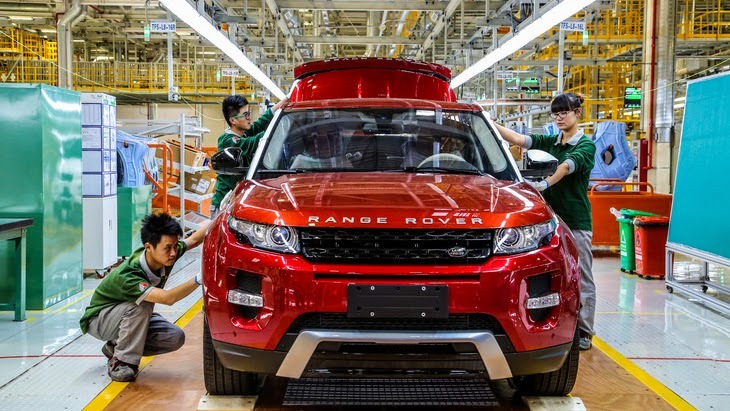 Jaguar Land Rover has opened its first overseas manufacturing facility in China. The award-winning Range Rover Evoque will be the first model to be built in a joint venture with Chinese auto company Chery Automobile Company Ltd worth RMB 10.9 billion. This is in fact the first Chinese-British automotive joint venture. The 400,000 square-metres plant, is located in the Changshu Economic Development Zone north of Shanghai. 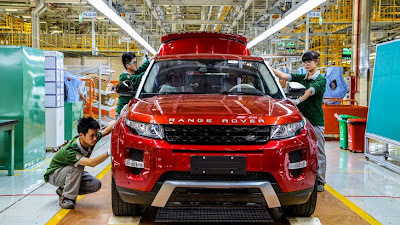 They expect to build three Jaguar Land Rover models with total production capacity of 130,000 units a year by 2016 (for the Chinese market only). The facility features highly-automated press shops – including cutting-edge aluminium and steel technologies – along with a steel body shop comprising 306 robots, an energy-efficient paint shop and an ergonomically-friendly final assembly line. Jaguar Land Rover first established a presence in China just over a decade ago. In addition to China, Jaguar Land Rover has confirmed plans to create a local manufacturing facility in Brazil and has a local assembly facility in Pune, India.